Nevada Considers Coverage Issues Arising From The Loading And Unloading Of Commercial Trucks And Trailers. You are here: Home / Coming to Rest Rule / Nevada Considers Coverage Issues Arising From The Loading And Unloading Of Commercial Trucks And Trailers. The year is 1964. A construction truck pulls up to the dock at Richfield Oil Corporation in Las Vegas, Nevada. The driver of the truck hopes to load fuel that he can haul to a construction site where his equipment is operating. Mr. Spink is the guy working the dock. He is the one who is going to load the fuel on the truck. He pulls the bung out of the fuel drum to begin the transfer of fuel from the drum to the container in the back of the truck. Fuel spews up and out of the drum. The splash of fuel covers Spink and the dock and everything. Imagine the terror in Spink’s eyes when he realizes that a gas-powered fuel pump is running just a few feet down the dock from where he stands all covered in fuel. Richfield was using the gasoline-powered fuel pump to transfer fuel from one drum to another at the Richfield plant. Courageous Mr. Spink runs toward the gas engine in an apparent attempt to shut it down before the sparks generated by it ignite the fuel vapors released from the drum. But it’s too late. Just as he extends his finger to kill the engine, a loud “whoof” is heard. The area erupts in a ball of flames burning Spink and starting a fire. Richfield Oil burns to the ground. The fire takes with it a part of the Pacific Fruit Express Company whose business is next door to Richfield. Harbor Insurance repairs the damage done to Pacific Fruit Express and then sues Richfield Oil Corporation. Richfield then sues the truck driver. The truck driver’s insurance with the Hartford has a “loading and unloading” clause in it. And clearly the truck was being loaded or at least so says Richfield. According to Richfield, the trucker’s insurance should cover the loss caused by the fire. In the case of Richfield Oil Corp. v. Harbor Ins. Co., 85 Nev. 185, 452 P.2d 462 (1969) the Nevada Supreme Court considered the scope of the “loading and unloading” clause in a commercial vehicle policy. The trucker’s insurance company argued that the Nevada Supreme Court should adopt the minority view sometimes called the “Coming to Rest” rule. The more narrow “Coming to Rest” doctrine would provide coverage only where the goods were being moved from a place of rest onto the truck or from the truck to a place of rest. 85 Nev. 189. See also, Stammer v. Kitzmiller, 276 N.W. 629 (Wisc. 1937); American Casualty Co. v. Fisher, 23 S.E.2d 395, 144 A.L.R. 533 (Ga. 1942). On the other hand, Richfield Oil Corp. argued that the Court should adopt the majority view called the “Complete Operation” rule. The broader of the two rules, the “Complete Operation” rule covers any occurrence during or arising out of the process of loading or unloading the truck. 85 Nev. 189. See also, Raffel v. Travelers Indemnity Co., 106 A.2d 716 (Conn. 1954) and Annot. 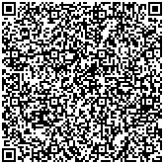 95 A.L.R.2d 114, 1134. Instead of following one of these two views, the Court chose to focus on the intent of the parties and what they meant in their insurance contract. Allstate Ins.Co. v. Valdez, 190 F.Supp. 893 (D.C. Mich. 1961). The Court chose to look at five factors in attempting to construe the insurance contract. The closeness or remoteness of the connection, if such connection be found, between the truck and the accident. Applying those five factors to the facts at hand, the Court found no liability on the part of the truck driver. The Court said that there was no causal link between the gasoline pump that was running on the dock transferring fuel from one barrel to another and the loading of the truck. Everything that caused the explosion was in the control of Spink and Richfield Oil. No act on the part of the truck driver caused the conflagration. Id. 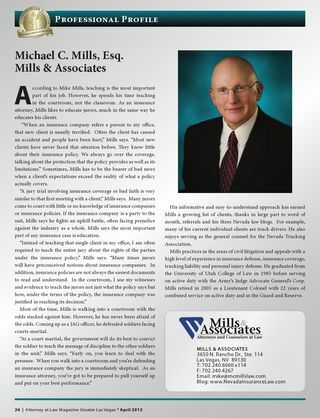 Let Mike Mills help you with your legal issues involving insurance coverage and the loading and unloading of trucks. Call him at 702-240-6060, x114 with your questions.